CD to benefit the AAA ~!!!!! Check this out!! American Asperger's Association » General Discussion » CD to benefit the AAA ~!!!!! Check this out!! Hi, this is Steve Boisen, the producer of the Square Pegs & Round Holes CD. I'm pleased to report that CD sales have been steady and Elderly Instruments in Lansing, Michigan has agreed to distribute the CD to their nationwide network of music stores. In addition Flea Market Music, the #1 source for all thing ukulele, is now featuring the CD in their online and print catalogs and have had to re-stock their warehouse three times so far! Here's where you can purchase your own copy. 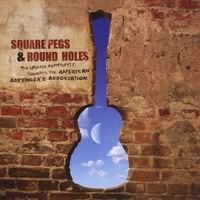 http://www.cdbaby.com/cd/squarepegs As you know, 100% of the proceeds go to the AAA. Help support them and get some great music that features Dr. Ron's favorite instrument! And who gets to decide what’s not allowed? Where is my shadow when the sun goes down? How come the moon is always following me? Singer/songwriter Victoria Vox also contributed a wonderful song entitled "Make A Mess" which was written especially for this project and whose lyrics relate to the experience of a an Apsreger's child. I'd also like to thank Kim for her help in promoting the CD and of course Dr. Ron for everything he has done for Andrew.